If you would like to schedule an appointment with us, please fill out this form and click on "submit". Your appointment is confirmed and we'll contact you by email or phone if we are not able to commit to your scheduled time. Mahalo! Please Note: Safety Check appointments accepted by phone only. Reservations made with less than 4 hours can not be guaranteed. 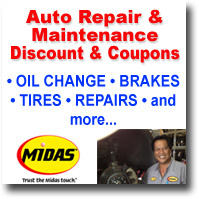 We recommend calling the Midas Hawaii Shop directly for same day reservations. How would you like us to send your maintenance reminder? 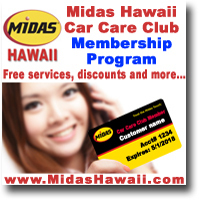 How did you find out about the Midas Hawaii?